Not Greasy. Moisturizes. Softens Skin. Light. Absorbs Quickly. Goes On Smoothly. Moisturizes Well. Long Lasting. Soothes Skin. Dry Skin. Daily Use. Deep Moisturization. Dry/Chapped Skin. Bedtime. Winter Dryness. Moisturizes. Softens Skin. Absorbs Quickly. Goes On Smoothly. Moisturizes Well. Long Lasting. Soothes Skin. No More Caleses. Long Lasting. Moisturizes Well. Moisturizes. Not Greasy. Softens Skin. Goes On Smoothly. Soothes Skin. Dry Skin. Deep Moisturization. Daily Use. Winter Dryness. Sensitive Skin. Moisturizes. Not Greasy. Softens Skin. Light. Absorbs Quickly. Goes On Smoothly. Moisturizes Well. Soothes Skin. I use it for dry cracked feet. I moisturizes fast. It's not greasy. I use it at night after my bath. It's doesn't take alot. Excellent moisturizer for very dry skin. Moisturizes. Softens Skin. Absorbs Quickly. Moisturizes Well. Long Lasting. Dry Skin. Dry/Chapped Skin. Bedtime. Winter Dryness. Deep Moisturization. Excellent for very dry skin, especially for feet and elbows. Use only a small amount. 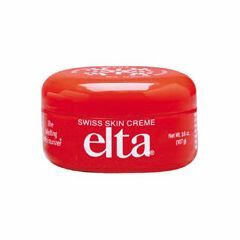 It is a little oily at first, but absorbs quickly if only a small amount is used. I was introduced to this product by a wound care facility. Highly recommended for diabetics to help prevent skin breakdown.